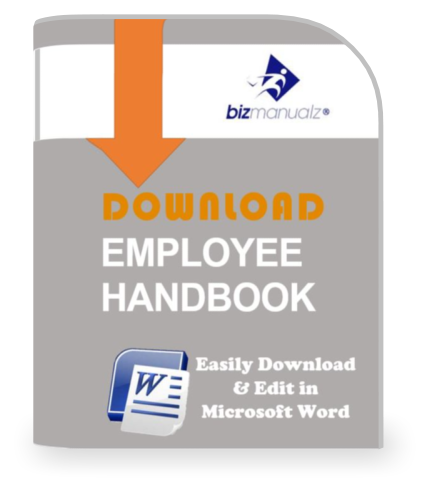 Write an Employee Handbook Policy Manual as fast as you can DOWNLOAD. All of your important employee policies are included in four easy sections with no hassles formatting or researching basic employee policy. Creating an Employee Handbook Policy Manual has never been easier. Includes both the English and Spanish versions of the Employee Handbook / Manual Del Empleado. Your Company Employee Handbook is utilized to present office policies to your employees. It is your company’s way of informing employees of company expectations, workplace guidelines, and the fair and equitable treatment of all employees. Your Employee Handbook covers all aspects related to workplace employment, benefits, and everyday employee code of conduct. Your HR Employee Handbook, which can also be referred to as an employee manual, is similar to a Policy & Procedure Manual except that the focus is different. Your Office Policy & Procedure Manual doesn’t commit anything to your employees; however, your Employee Handbook does to a degree imply a responsibility to your employees. Your company is presenting business policy in the Employee Handbook as it directly applies to your employees. Note: Be Careful! A judge might see this as legal “terms of employment”. It is wise for your organization (i.e. management) to comply with the business policies set forth in your employee handbook just as you expect your employees to comply with it too. Once your employee manual is written, it will need to be reviewed frequently for changes. Every organization is dynamic and in some steady state of change, which will lead to changes in your business policies from time to time. Revisions should be completed and sent to all personnel who hold a copy of the Employee Manual. The revision should have an effective date and of course should be distributed in advance of the effective date. When making a change to your employee manual, be cognizant that the language might have an indirect impact on other business policies. And finally, make sure that there is a clear record of revisions made and that all employees have current information in a timely manner using some type of employee acknowledgment. It is essential that all employees sign an acknowledgment form, which confirms that your workers have read, understand and been issued a copy of the employee handbook. The employee handbooks should be assigned a number when printed and this number should be recorded when issued to an employee so that you have traceability. The employee must sign a statement that they have received the policy manual, understands that it is supposed to be read, agrees to ask an individual in authority if there are any questions about stated business policies, and acknowledges that deviations from the employee manual policies can result in disciplinary action, up to and including termination of employment with the company. 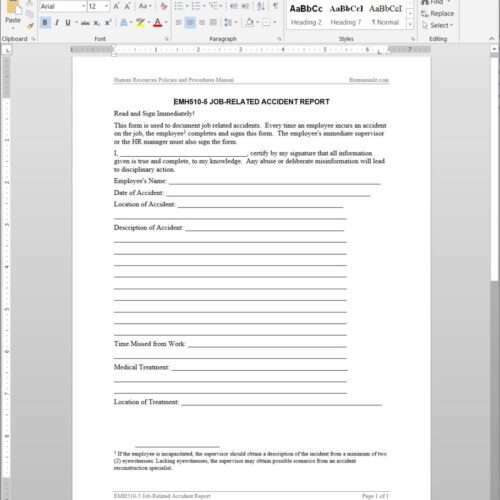 The original signed acknowledgment form should be retained in the employee’s personnel file with a copy of the signed form given to the employee. This record-keeping step prevents the employee from claiming, at a future date, that they were not aware of company policy. Your Employee Handbook is not intended to represent a company Policy and Procedure Manual. A “Policy and Procedure Manual” is intended to set forth a definite course or method of action to guide employee’s present and future decisions in the daily course of their job. The purpose of your Employee Handbook is to communicate to employees the company expectations, workplace guidelines, and the fair and equitable treatment of all employees. So, the purpose of a policy and procedure manual is to provide companies, managers and supervisors with a systematic approach to implementation of policies, plans and operational routines, some of which are found in your Employee Handbook. No need to stay up late researching basic Employee HR Policies Manual topics. Creating an Employee Manual has never been easier. 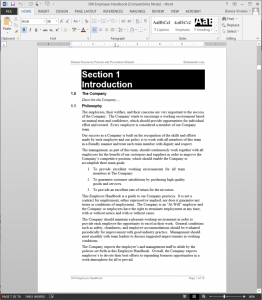 You will have prewritten employee policies text in MS-WORD. DOWNLOAD Your Employee Handbook Policy Manual Now and save time, save hassle, and save your company from potential employee liability hidden in your business practices. Download the Free Sample to see how easy it is to edit MS Word documents to build your own office policy and procedure management system. I appreciate the templates and overall outline of the product. It helps to keep all the components in mind as I am writing the company specific information. Great product. Easy to format in Word. Easy to customize to my client’s needs. Well written.